We have teamed up with Saltwells Nature Reserve and Dudley Carers Co-ordinators to host a new event for local carers. 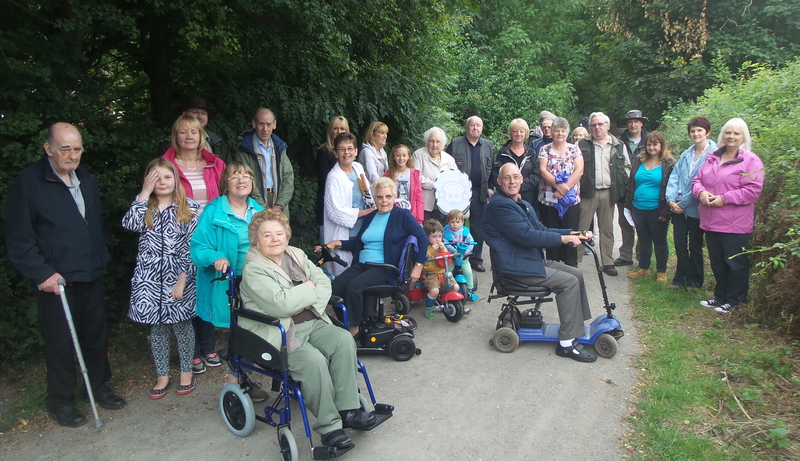 Our first Saltwells Carers Amble took place in August and we had a great turnout from local carers and the people who they support. Dudley borough carers were invited to join us for a gentle amble through accessible woodland trails, take some time out for themselves or bring along the person who they care for, to enjoy the beautiful surroundings and sculpture trail. During the walk staff from local organisations were on hand to give information about local services that carers can tap into. We have been asked to make the amble a regular event and have planned for walks to take place on the second Thursday of each month. Meet up is at 12.30pm on the nature reserve car park on Saltwells Lane, DY5 1AX. Click here for directions. You will get the chance to meet and chat with other carers and people will be on hand from local services to discuss help available in Dudley borough. The route is not demanding, is generally flat and everyone is welcome. The stroll will end with a pub lunch at 1.30pm at the Saltwells Inn where there is a full menu or carvery starting from £3.99. No need to book, just turn up. This entry was posted in Uncategorized on August 24, 2015 by Healthwatch Dudley.